Lida: Perhaps the most famous and widely used bread in Iran, Barbari is a part of Iranian culture. A piece of Barbari with some feta cheese and a cup of tea form the traditional breakfast in Iran. The secret behind the golden color of Barbari and its unique smell is in the small amount of baking soda mixed with some water and used to brush Barbari before baking. This mix is called Romal in Iran which is specified as the sauce here. 1. If using bread machine, add all main ingredients in the order suggested by your bread machine manual and process to form the dough then skip to step 6. Otherwise start from step 2. 2. Dissolve yeast in 100 ml warm water and let it stand for 3 min. 3. Mix the flour, baking powder and salt together. 4. Pour the yeast mixture and the rest of the water into the center of the flour and mix to dough. 6. Divide dough into 2 round pieces. Slightly sprinkle the baking sheet with cornmeal or whole wheat flour and transfer rolls to it. Cover and leave them in a warm place for 1.5 hours or until doubled in bulk. 7. Meanwhile mix all sauce ingredients and bring to boil. Let it cool down before using it. 8. Brush doughs with the sauce. 9. Dip your fingers in the sauce and punch down the doughs in the way shown in the right hand side pictures. 10. Brush doughs with the sauce one more time and sprinkle with poppy seeds. Let them stand for 45 min. 11. Meanwhile preheat the oven to 375 F.
12. Pull the doughs with your hand as shown in the picture. 13. Bake them for 30 min or till golden. I used this recipe to make pizza crust, it was the best pizza crust ever! I have tried several barbary recipes but this one beats them all hands down. Deliciouses persian bread, enjoy with feta cheese, parsley and walnut. Forgot to mention to flatten the dough and to what thickness? Thank you so much ,I missed Barbari ! Try hot barbari with feta cheese and cucumber and tomato , Absoloutly Delicious. Do you have SANGAK recipe too? They are about 50 cm by 20 cm each. Aaaah, I'm so glad you put this recipe up! I enjoyed barbari bread so much when I was visiting Iran. It's delicious for breakfast spread with a soft cheese and honey. Hi Lida,Thanks for the recipe. I tried it and got a good bread. It looked like a real Barbari. Can you also include Sangak as well? Thank you Lida for this nice recipe. Does bread flour just mean regular white flour? Bread flour is a high-gluten flour. This is perfect for baking bread since the end result will be chewier with more holes in it. You can certainly replace it with all purpose white flour but the end result may not be as glorious as you had hoped. It makes an original barbari. I just tried it. Can you give directions for commercial production of 500 breads or more? I need some help/guidance: Where can I find a barbari bread machine? or What kind of molds are used to make the barbari bread? a lot people say they are all hand made but then many are mass produced at certain companies/stores. What is their process? As far as I know, this kind of barbari is still made by hand in Iran. The mass produced barbari just doesn't have the same taste nor texture. This recipe sounds great, but my first try was a failure:( How much cornmeal does this recipe require? No amount is mentioned above. 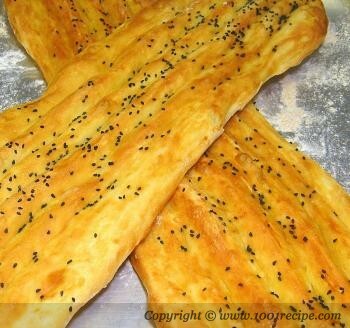 Any Sangak or Taftoon bread recipe? Cups come in different shape and sizes. Wouldn?t it be better to use a measuring cup and use exact amounts? For this recipe one cup is equal how many milliliters? For Al Davitian: Cup means US Cup which is about 240 ml. For Anita about cornmeal: it should be enough to fill the surface of your baking sheet. Thanks for this wonderful recipe. The first time I visited this site and saw the nice picture of the Barbari, I found myself overtaken by a flood of memories of the last time I had perceived the scent of a true Barbari bread. I was still in trance caused through onslaught of picture of the bread, when I hit the word souce which immediately arose the horrible smell of the burned souce of my neighibor in my mempry. My senses were then not shocked? --- So please use some words like Soda Mix. Super! For once, within an hour I had a bread just like the photo!.. and it was gorgeous too, it was gone in one mealtime! 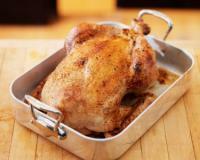 My husband found it super as well!The sauce treats the crust so its golden/brown and gives it a special taste! A winner! I love barbari bread, I tried this recipe but I was not successful. I had problem with the dough, it was so sticky and running. I couldn't even knead the dough, it was running on the bench!!!! What did I do wrong? I followed the recipe as directed, everything was exactly the same! my ingredients, my measurements,...so what was the problem?could you please help me?Thank you. Nina, a couple of things might have happened. If you use old flour that has absorbed water or if you don't use standard measuring cups, you may end up with runny or dry dough. If it's too runny, add 1 tbsp of flour at a time and knead until dough is smooth. I am a Turk, and I love it. the best kind of bread u can find in world. thanks for this recipe. Hi, thankyou for sharing this recipe. It turned out great. I made a few more, and drove to our friends houses and surprised them with fresh baked barbai for breakfast, they enjoyed it a lot.Can you please give us a Sangak recipe too? Thanks for the recipe. I tried it and the result was better than what I expected. Just the bottom of the bread was a little bit hard which I think I have to put the bread in upper part of the oven. thanks again. Thank you for a wonderful bread recipe! I made it to go with Hungarian gulyash - a match made in heaven!Can anyone tell me what Sangak is? I made it for the second time. It is still a bit hard (me and my daughter couldn't eat the bread). what am I doing wrong? heeeeeelp please! i agree with you farhad! Thank you so much. My husband said it is just like the bread he grew up on in Iran. does anyone have a recipe for the sangasari bread gulachoo? Thanks so much for the recipe. I tried it with all purpose flour, and as mentioned by some of other friends, my doe got so sticky and watery that I eventually ended up adding more and more flour. I'm pretty sure about the accuracy of my measuring cups and so my only guess is the different texture of bread flour and all purpose flour. My suggestion is to add one more cup flour to the doe in case of using all purpose. My barbari bread is rising. I'm making chello kabab (saffron rice with lamb and beef kababs), grilled onions and tomatoes, and yogurt dipping sauce. Celebrating birthdays today and the time I spent in Iran as an American kid before the revolution. This was my favorite Persian meal when I lived there. I made this today and it turned out as I remembered from Iran. I used fresh bread flour and kneaded the dough with my Kitchen Aid mixer. After about 10 minutes of that, I kneaded it by hand. I was so excited to find a recipe for this bread in US but I think I need more explanation in step 5 and 6. I should confess I never made a bread before so maybe this adds to the problem. Mine was so hard to make it round as it is in the picture and so sticky and watery - even though I used the correct portions. should I knead it more than 15 min? :( any hint? I just made this bread! It is scrumptious and brought lots of good memories back to me. My 4 and 6 yrs old tried this Iranian bread for the first time and loved it so much. Thank you so much for sharing this simple, yet great recipe. are you supposed to use sugar in the yeast to make it proof? is there a step missing? the water for bread measurement is 1.5 fuid cups (i have both dry & wet measuring cups) yet you use 100 ml with the yeast - what to do with the other part of the water - is the remainder for the sauce? Because if it is, you would still be left with water. I tried this twice and it was a flop - sorry. ruined a very nice pan too! Neda, I don't understand your question. In step 4, it says pour the yeast mixture and the rest of the water into the center of flour. It clearly means use the whole 1.5 cups water to make the bread. Also, you can use the sugar in the yeast if you want. Your bread would be more fluffy. But you also have to increase the amount of salt. Thank you so much Lida jan for the great recipe. I tried it with whole wheat flour and it tastes great. I just didn't get the golden color on top same as your beautiful picture. Should I add anything else into the topping sause? Made this for my husband who has lived in Iran. Turned out perfect. Can't wait for him to try it!! Could anyone tell me what proportional of the ingredients should I use if I want to make more of this delicious bread? This looks like very nice bread! I am now thinking of nice alternatives for the sesame seeds although the sesame seeds are a perfect choice. Does anybody know why the colour on my bread does not turn to golen? It turns to brown instead of golen. The color of my bread is still white. Is there a tricky point for making that sauce that makes the color golden? I spread the sauce on the bread but the color is still white? Leila, there is no trick. If you use baking soda in your sauce, the bread color becomes golden. Maybe your baking soda has expired or you are not using enough baking soda. although you can find the nann in many turkish shops , but is not the same look and taste as this one we learned from lady lida recipe,which is same as barbary in our country thanks to her. I am going to try it .seems very athentick iranianbread.let me first try. I've made this recipe several times and each was perfect. I think the trick is to use FRESH bread flour, and putting a bowl or tray of water in the oven under the bread improves the texture. Also, watch the baking time closely. Altitude and diffferences in oven heat can make a difference.I made this bread with a chello kabab meal for friends including several teens not familar with Iranian food. They LOVED it! @Barbary Lover-Baking bread takes a little practice for everyone. I bake often, so my first effort at this bread turned out pretty well, and even better the several times I've made it since. Just keep practicing and you'll do just fine. This recipe is the best I've ever tried. HI Lida, thank you so much for this recipe. I'm going to try it today. Will let u know how it turns out. I love Barbari bread. It's the best bread in the world. Can't wait!! thank you for your information.Barbari is the most delicious bread in Iran. salam i ccok it ;it was wonderfull. I am just questioning, why persian don't make their bread small like Mexican tortilla, for easy bite size and no cutting. It looks a little odd to have a long bread (if you don't cut it before) on table and then have to tear it apart with hand. I am using this recipe for the 4th time in a month and it makes excellent bread. My Persian friends love it! Thank you Lida. My mum is persian and it is hard to find this bread here. I made it and it turned out just like the real thing many thanks. I used a bread maker for the dough and it was fine. cant wait to bake this bread. Loved it when we lived in Teheran back in the 70s. Our driver would bring fresh bread every morning. The kids loved it with peanut butter on it. Very good bread and I think everyone should try it. I have purchased this bread at Corrado's in Clifton NJ several times and used it to make pizza! It makes the best pizza crust ever. 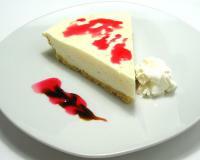 I am delighted to find a recipe to make it and will try this in the near future.